Separated parents should not miss out on child support payments if the other parent fails to pay their way, a Tasmanian academic has urged the federal government’s child support Inquiry. Senior lecturer at the University of Tasmania’s school of social sciences, Dr Kristin Natalier has recommended taxpayers foot the bill of the amount owed so single parents and their children are not financially disadvantaged. In her submission to the inquiry into the child support program, Dr Natalier said there were high rates of non- payment, partial payment or late payment of child support. Figures obtained by the Department of Human Services showed Tasmanian single parents were owed $22 million as at August last year. Dr Natalier said the methods used by Child Support Agency to collect payments in arrears contributed to financial instability and poverty of the rightful recipients, the majority of whom are single mothers and their children. If CSA decided to write-off a debt, the amount owing should be “gifted” to the resident parent. “This recognises that a payee should not be financially disadvantaged as a result of CSA’s failure to successfully pursue a child support debt,” Dr Natalier said. The deadline for feedback to the inquiry has been extended until July 4. Bass Liberal MHR Andrew Nikolic encouraged anyone with experience of the child support program to have their say via a submission or completing an online survey. “A lot of Tasmanian parents who pay and receive child support are telling me about their problems with the child support system,” Mr Nikolic said. The National Council of Single Mothers and their Children Hobart branch’s submission recommended introducing tougher penalties for non-payments, including confiscating drivers licences or credit rating downgrades. 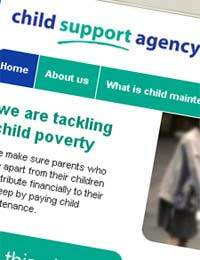 The council also called for reform to the formula used to determine the amount of child support fees and re-opening of Child Support Agency shop-fronts to provide a point of contact for parents struggling with the system. Previously, Relationships Australia has told the government’s child support inquiry that some parents are insisting on shared custody just so they can pay less — or claim more — maintenance through the Child Support Agency. When custody is shared, maintenance payments are based on each parent’s income and their time with the children. Relationships Australia says parents often ask counsellors to “verify the custody arrangements and advise on the proportion of child support which each parent should pay’’. The counsellors refer parents to the Child Support Agency. Relationships Australia warns that children who prefer to live with one parent are being ignored because of the financial effect on the other parent. “A child may be interested in spending more time with one parent but the change in care ­arrangements may impact on the other parent immediately, which in some instances can be a disincentive for changes to care ­arrangements, even if this is what the children may want,’’ it says.